Domino magazine is back! YES REALLY! Have you heard? Have you heard? 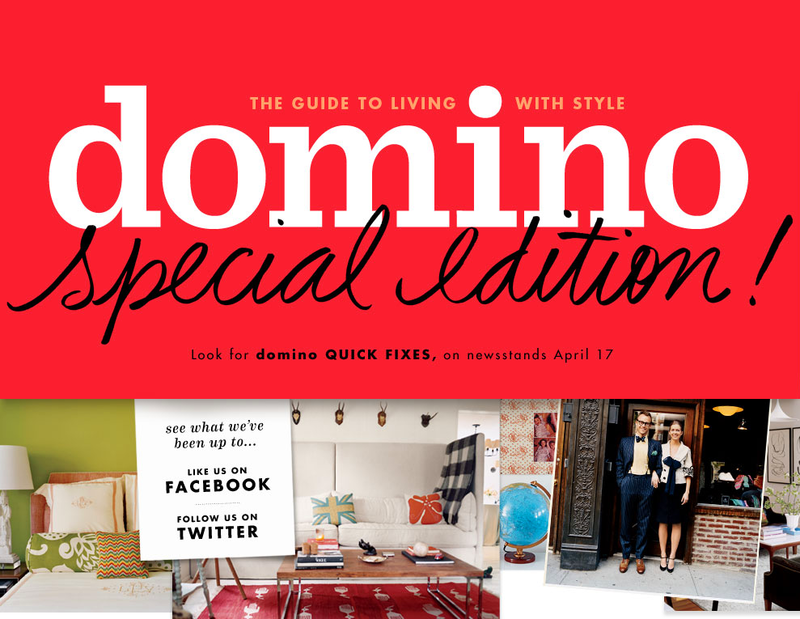 Domino magazine recently announced that they would be putting out a special edition (yes, a real, papery-y one!) called "Quick Fixes"! That's a little bit exciting! I'd say they're testing the waters with this one. Fingers crossed it flies off the stands and there is (much) more to follow! How we're supposed to get hold of it here in Australia, I'm not too sure... Quick Fixes hits newsstands April 17. Click here for more. Doh! I was domain name searching at namecheap.com and went to type in the domain name: http://www. so I thought I'd come check it out. Great blog!